Our rates can’t be beat! Doolittle’s nannies do not have full-time office jobs…because our job is to ensure a happy experience for our furry guests. Our doors are open 7 days a week including holidays. 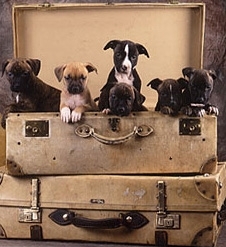 We carefully place our pet guests based on their specific needs and sociability. We reserve on a space- available basis and always recommend a “meet and greet” in advance. Please visit our “Nannies” page for a sneak peek at the wonderful hosts waiting to meet you. Your important questions are answered here.